Maroje Brčić was born in Dubrovnik where he started playing the guitar at the age of 7 under the guidance of his father Stefanin Brčić. He finished highschool in the class of prof. István Römer and graduated classical guitar at the Music Academy in the class of prof. Darko Petrinjak. He teaches guitar at the Art Academy of the Split University and regulary gives masterclasses and lectures as well as participates in juries at croatian competitions. 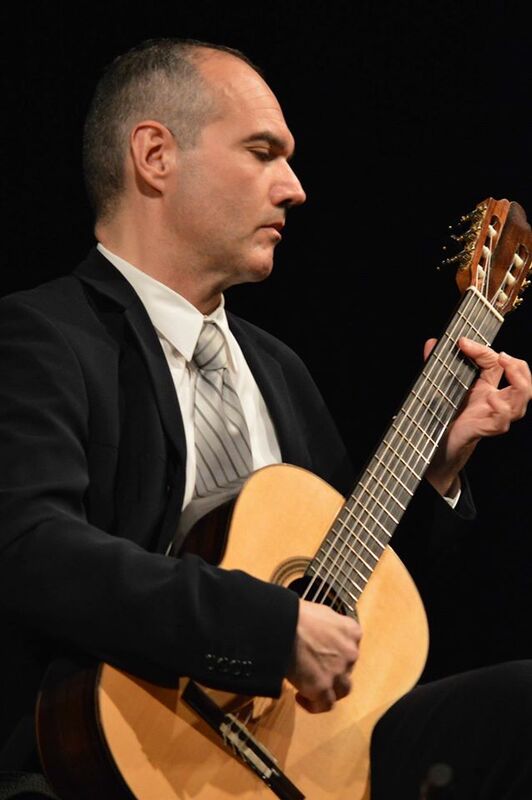 As a soloist and member of the Dubrovnik Guitar Trio, he has performed at all major festivals and concert halls in Croatia, and has also appeared in several European countries (Austria, Bosnia and Herzegovina, Montenegro, France, Italy, Latvia, Hungary, the Netherlands, Germany, Russia, Slovenia, Spain and Sweden) and in the USA (New York, Miami, Washington, Monterey, Los Angeles, San Francisco). He also performed with the Dubrovnik Symphony Orchestra, Croatian Television Symphony Orchestra, Chamber Orchestra of Mostar, Sarajevo Philharmonic orchestra , the Macedonian National Opera and with Moscow Gnesin Virtuosi. He received a prize from the President of University in Zagreb, „Milka Trnina“ diploma with Dubrovnik Guitar Trio and together with Zoran Dukić was awarded with a distinguished Orlando Prize for the best music performance at the Dubrovnik Summer Festival.